'Modern Classics' will take a look at some of the landmark Korean films that have emerged as consensus picks following the local industry's resurgence. Park Chan-wook's deliriously popular Oldboy (2003), Kim Ki-duk's meditative Spring, Summer, Autumn, Winter and Spring... (2003), and Hur Jin-ho's touching Christmas in August (1998) will all be screened as part of the sidebar. Following last year's breakthrough for Korean animation, both the commercial hit Leafie: A Hen Into the Wild and the festival favorite King of Pigs will be screened at the event. Before last year Korean animation was something of a non-entity but that has quickly changed and these two films are currently at the forefront of the movement. Over the years, Korea has been quietly but steadily making and releasing a string of powerful documentaries. In 2009, Old Partner became a surprise hit and now more and more documentaries are gaining wider exposure. Kim Ki-duk's award-winning Cannes competition film Arirang will be presented in KOFFIA's 'Documentary' program alongside The Reason Why I Step. Finally there will be two genre spotlights at this year's festival. The first is called 'K-Mystery' and will focus on a trio of the country's fine thrillers. The fast-paced courtroom thriller The Client will be shown alongside the powerful student film Bleak Night and the controversial real life story Silenced, which prompted a rewrite of the constitution. 'K-Comedy' is the second genre focus and will feature the enormously popular romcom All About My Wife, last year's period detective film Detective K: Secret of the Virtuous Widow and 2008's megahit Speedy Scandal. 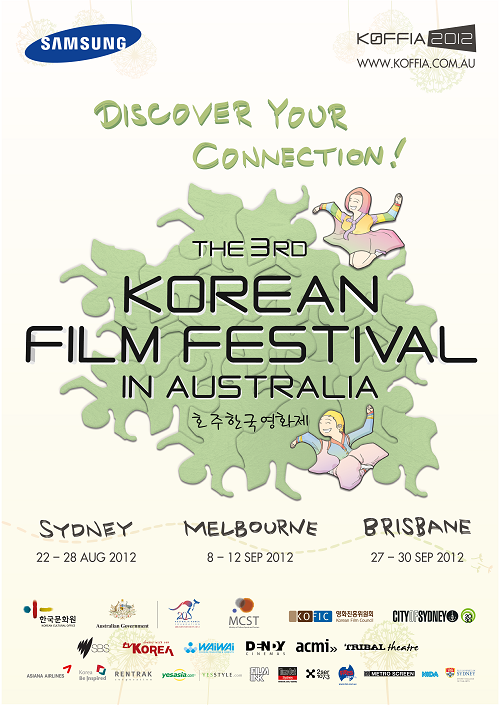 In addition to the features, a number of shorts will be screened in what is the festival's inaugural competition section. These include See You Tomorrow and Anesthesia from the Berlin Film Festival, Fly By Night and Ghost from Cannes and Remember O Goddess which recently succeeded in crowdsourcing its production costs for a full-length version. 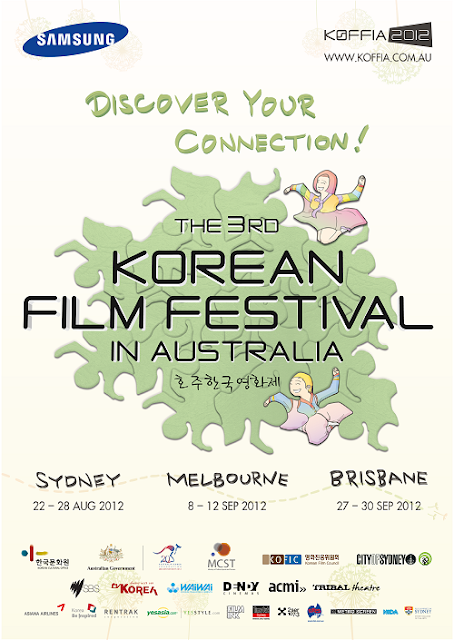 The 3rd KOFFIA features a stellar program of hits and favorites old and new and is a must for anyone in Australia interested in cinema, not just Korean!